When I look back, I am struck by how early I developed the interests that would occupy me for the rest of my life. 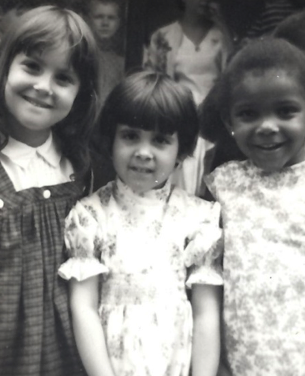 My career as an educator began in my childhood bedroom in Harlem. I’d set my stuffed animals in front of an easel blackboard and instruct them in addition and subtraction...or read from picture books whose words I’d memorized. I eventually managed to convince a few children in our apartment building to join my class but they weren’t very well behaved, so I had to reprimand them for their lack of effort. They complained that I was too strict and, sadly, soon abandoned their studies for jacks and jump rope. My stuffed animals, however, stoically persisted in their studies. At that time, my brother and I were attending a low-performing public school in Harlem, where we were virtually the only white students. My parents, both professors, tutored us at home, but we understood that our classmates were reliant on the education the school offered, and I perceived this as deeply unfair. During that period, I attended a sleep-away camp founded by a leftist social activist. Instead of camp songs, we sang civil rights anthems like “Keep your Eyes on the Prize” and “We Shall Overcome,” and we staged civil rights and anti-war protests. The camp sparked my interest in politics, and I organized rallies throughout my childhood and teenage years to protest injustices large and small. Education and activism. These early passions converged when I became a New York City Councilmember and Chair of the Education Committee, and they drive my work today as CEO of Success Academy Charter Schools. I founded Success Academy Charter Schools in 2006 because I believed all children deserved access to a great school and the opportunities that a rigorous education can bring. As chair of the Council’s Education Committee, I had visited hundreds of city schools and held controversial hearings on everything from toilet paper to the teachers union contract. These hearings shone a spotlight on the pervasive dysfunction that still stymies efforts to improve district schools. They also ended my political career. I was already a parent then and had experienced firsthand the uneven landscape of public schools available to families, many of whom had far worse options than I did. These combined experiences convinced me that we needed reform across the entire public school spectrum: parents of all stripes needed better options. I didn’t want to create schools that served only one class of students — I wanted schools to which any parent would be happy to send their children. Chess started on Monday. The kids love Mr. Sanchez. Kids love science!!! They ate herbs today. Only problem was that they reported to parents that they were eating leaves at school and we had to field some concerned parent calls. Our kids have read 4,626 books!!!!!! 79 percent of our families completed the reading assignments up from 37 percent. We call when children are not in school by 9 a.m. and we have reduced latenesses from 20 to 2. Families told us the nearby public libraries were refusing to lend them books because they were borrowing too many. Librarians against excessive reading—who knew? Paul and I had to serve lunch because most of the cafeteria workers didn’t show; we had to cancel recess because the play yard was strewn with glass from broken bottles. We have 2 weak 1st grade teachers. One is extremely emotional (cries every day) and they are inefficient instructors. They don’t know how to use every moment. We had another teacher cry today. She lost it. The kids were disobeying. She has 7 special ed boys who misbehave on a regular basis. I am finding a way for more recess. Boys have trouble w academic culture: too much sitting still. Milk was frozen. Kindergartners cried. Mayhem resulted. Spoke to Miss John. Milk has to be liquid!!!!! Electricity went down again. Rugs were dirty. Had to have a heart to heart with custodian which was: if my rugs aren’t vacuumed, you’re a dead man. We went about solving our problems one by one and the year ended satisfactorily, with our students achieving inspiring academic gains. Our goal was to quickly give as many children as possible the opportunity to attend a great school, and we opened another three schools in 2008, and three more in 2010. As we moved into district school buildings, we encountered some unexpected situations. At one of our schools, we found a storage room in the basement that was empty except for a couch, a lamp, and a few personal items such as clothes, which the custodian removed at our request. A few days later, an elderly disheveled woman accosted me, saying she was a former teacher, that the co-located school’s former principal had agreed to let her live in the basement, and that I’d thrown out her belongings. I’d actually gotten occasional reports about an elderly woman who wandered around the schools but I’d had no idea she lived there. Our rapid growth was driven by a sense of urgency — every year our waitlists got longer and we knew that hundreds of thousands of students were stuck in schools that were failing them. 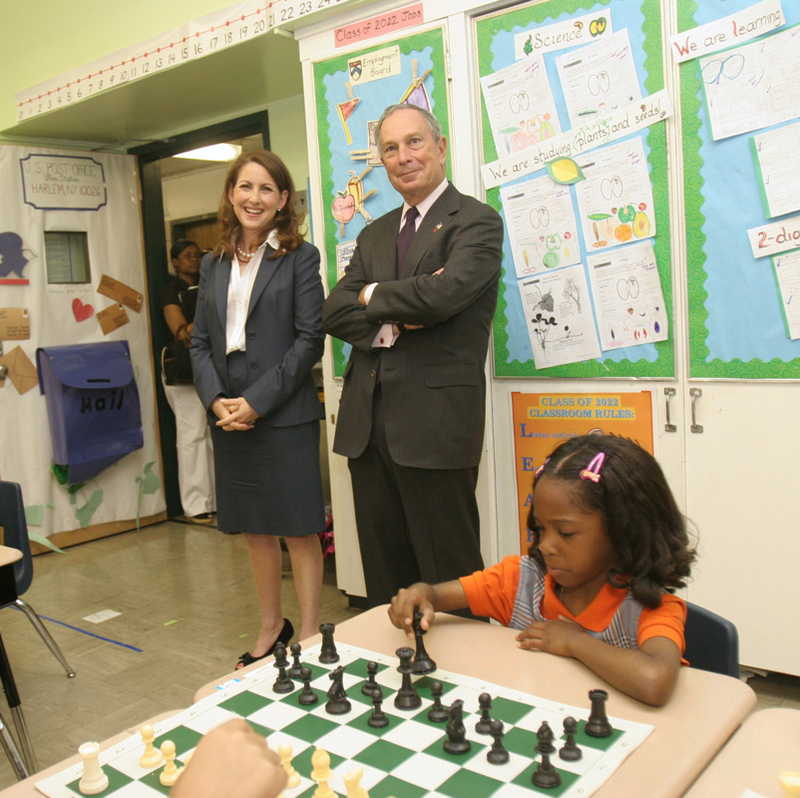 By 2013, we had 22 schools — and opening each one had required a fight. The UFT used its clout among politicians and district education councils to foment increasingly fevered opposition, which reached a pitch during the 2014 Mayoral race. Then, de Blasio yet again invoked my name at a forum in June, declaring that, “There’s no way in hell Eva Moskowitz should get free rent.” You may wonder whether I was shacked up in some Fifth Avenue palazzo at taxpayer expense. Not quite. De Blasio was talking about the fact that Success, like all other district and charter schools, doesn’t pay rent on the public school facilities it uses. To politicians like de Blasio, I — an educator of poor and minority children — am public enemy number one, but to thousands of families across New York, Success Academy schools are proof of what children can achieve and they have raised their voices to demand educational opportunity for more students. 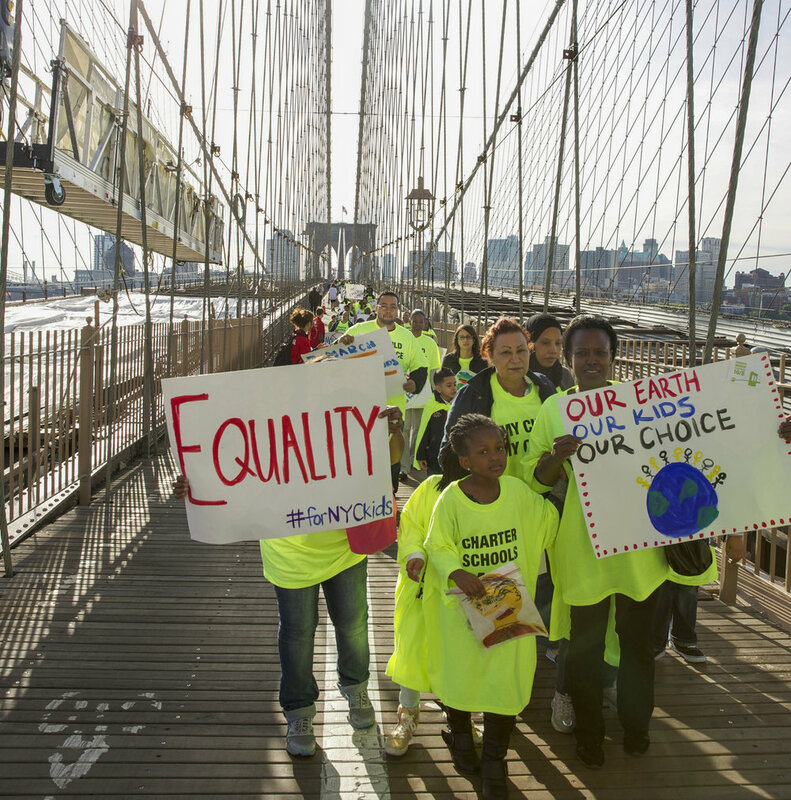 It is this demand for educational justice that fuels our work at Success Academy. Today, Success Academy is the highest-performing, fastest-growing charter school network in the country, and an incontrovertible demonstration that a solution exists for ending the shameful achievement gaps in our country. Entrenched interests set on maintaining the status quo continue to resist us every step of the way, but I draw inspiration from the incredibly talented and idealistic educators and staff members I have had the privilege of working with — only a few of whom I am able to mention in my book, but all of whom deserve credit for Success’ achievements — and from our scholars, who have proven many times over that regardless of background, children can meet and exceed our highest expectations. Eva Moskowitz completed her B.A. at the University of Pennsylvania and her Ph.D. in American History at Johns Hopkins University. After completing her Ph.D., she was a history professor and taught civics at Prep for Prep, a program for gifted minority students.